Weekly update: HALF WAY to our racing goal! Great week! We’ve reached the half-way milestone of 26 of the 52 races for the GBS/CIDP Foundation. We’ve also raised another $150 to bring our total to $42,479. Weekly stats: 82% of the way to our fundraising goal and 50% of the way to our running goal. It seemed like an awesome idea in January to run 52 races in 2015 to raise awareness and funds for the GBS/CIDP Foundation. What I didn’t factor in is injuries and travel — and what I’ve learnt is that it’s harder than it sounds. But this week, the half way milestone is here! We’ve run 26 of the 52 races, and now it’s time to count down from 26 to 0 and complete this challenge! Yeah! Bill Brewer and Levi Nitzberg both donated $25, and we had an anonymous donation of $100. Please thank Bill and Levi, and send warm vibes to our anonymous donor. More great folks joining a special circle of people. That takes us forward $150, and that little bit closer to our goal of $52,000. I need to get scheming on how to zoom it forward more — if you’ve got ideas, I’d love to hear them. 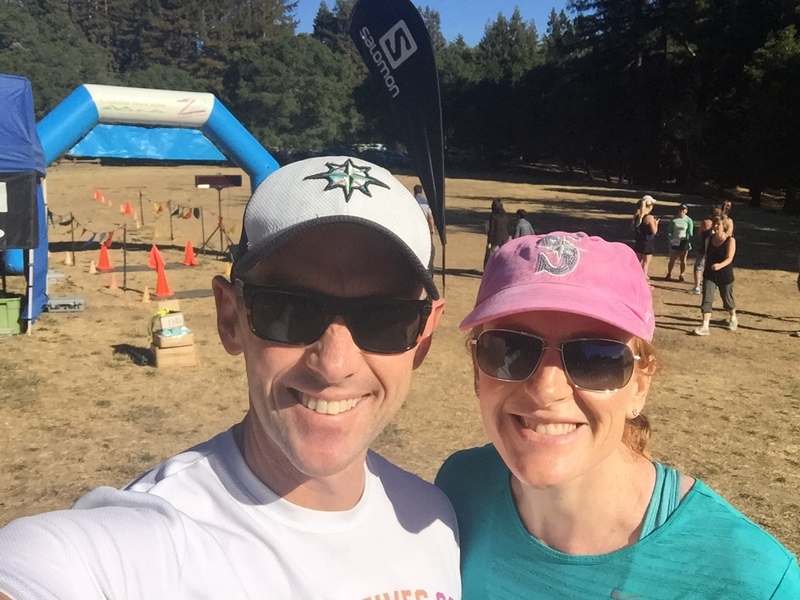 Here’s the race report for the truly magnificent Crystal Springs Trail Run that we ran today.